T he Osher Lifelong Learning Institute (OLLI) at CSU, Chico invites OLLI members to attend our Summer 2019 Open House & Class Preview. Hear from OLLI peer leaders about the fun classes in store. Join us Wednesday, May 15 from 10am-12pm at the Chico Masonic Family Center. All are welcome! 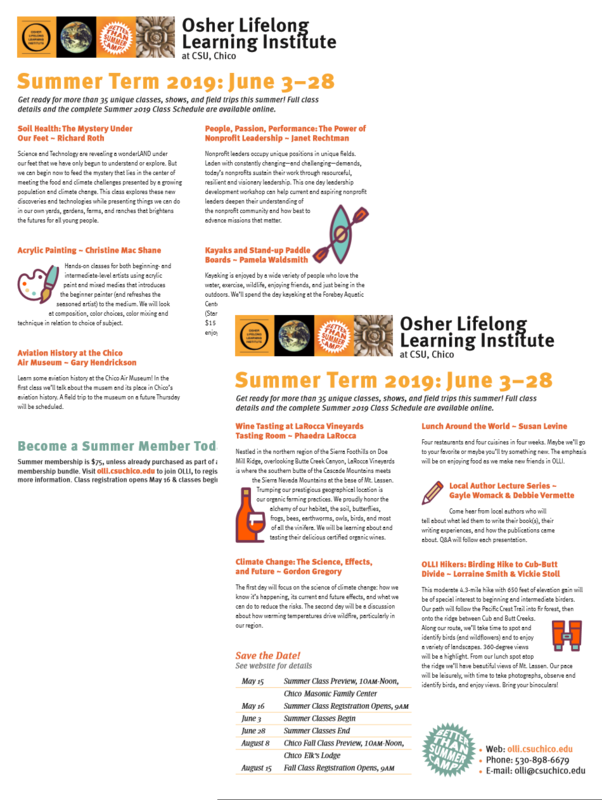 The Summer 19' Class Schedule is available now, as well as a flyer that you can download with newly introduced OLLI classes to share with a friend! For more information, please visit the OLLI website.